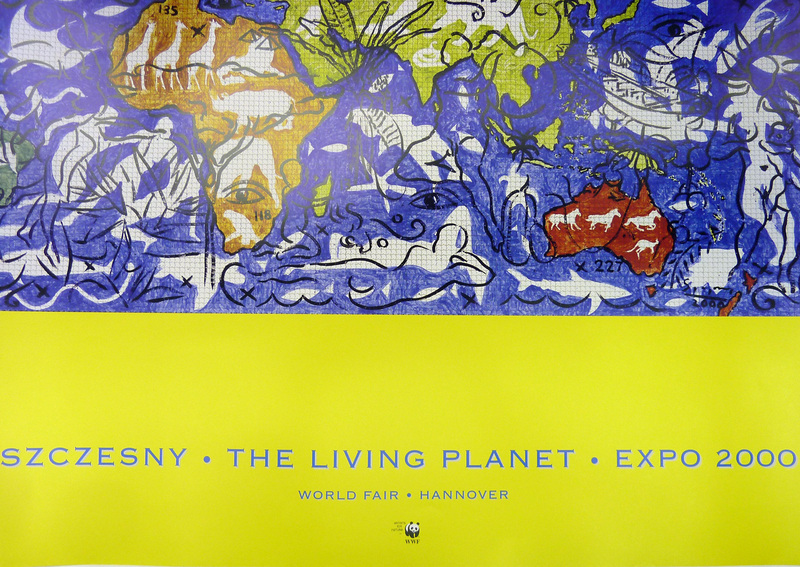 On loan from the collection of Erik & Betsy Gordon to celebrate the anniversaries of the New York World’s Fairs, this exhibition features twenty-two rare exposition posters from a period of over one hundred years and spanning several continents. 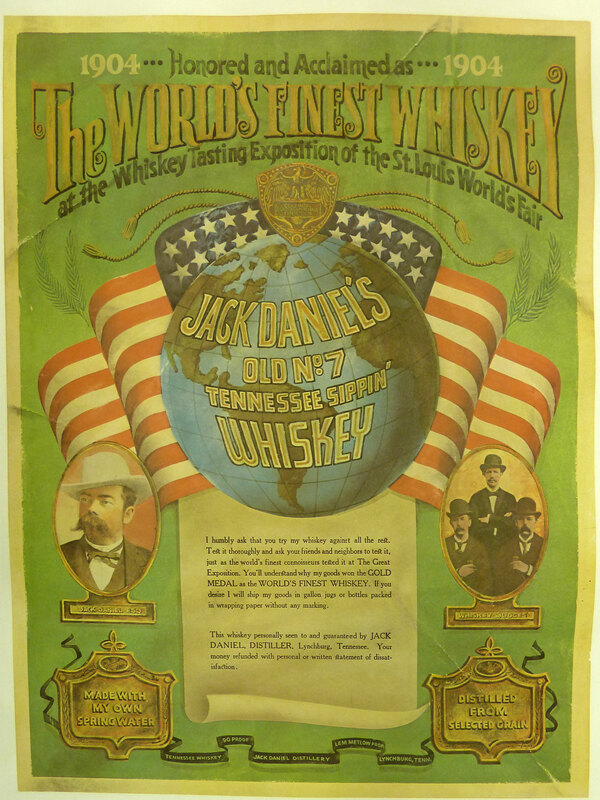 The oldest chromolithograph poster by Victorian book artist Walter Crane (English, 1845 – 1915) dates from Chicago’s 1893 Columbian Exposition and depicts an Indian maiden representing “Native America” introducing a flag-draped women to the wonders of North America in a highly decorative Pre-Raphaelite style. 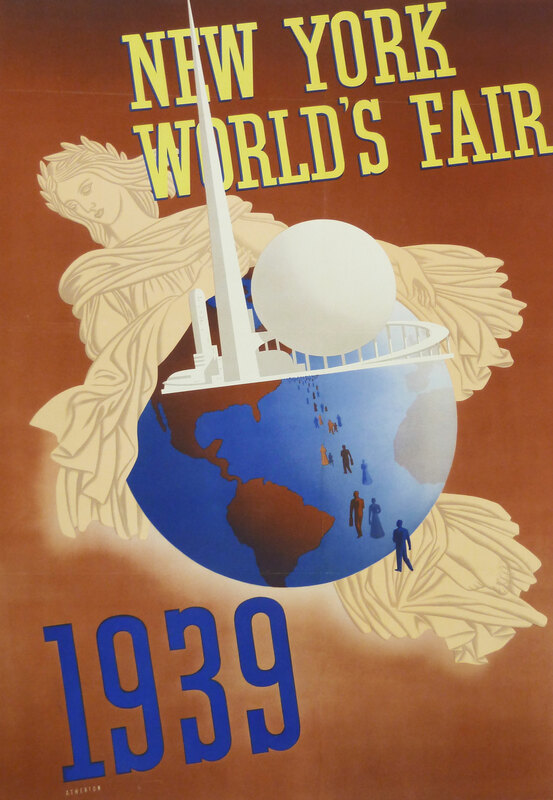 Other delightful examples of the diversity of these iconic symbols of the fairs are by John Carlton Atherton (American, 1900 – 1952), whose Art Deco Earth is cradled in the arms of Lady Liberty welcoming visitors to the 1939 New York World’s Fair’s “World of Tomorrow,” while Polish artist Wiktor Sadowski (b. 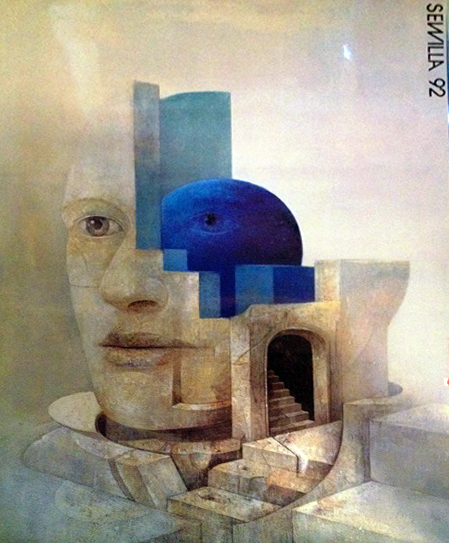 1956) contributed the image of a Surrealistic human head inhabited by evocative fragmented architectural forms to the 1992 Seville Fair. 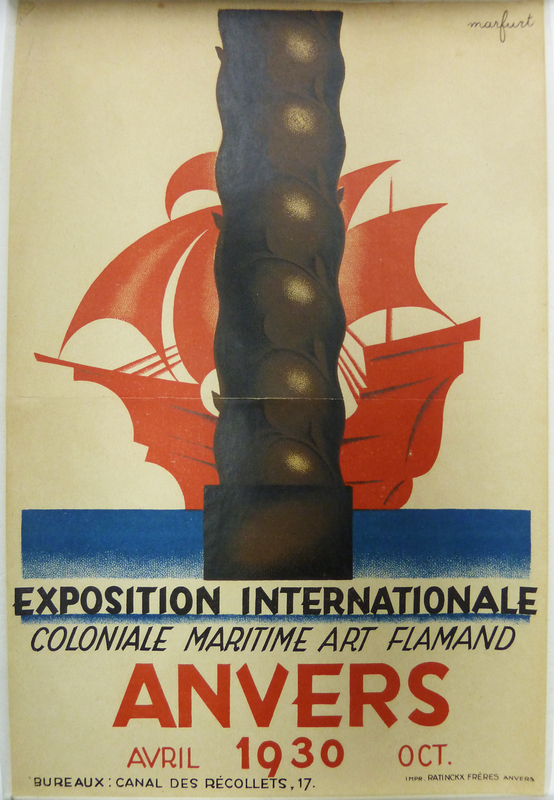 Paul Colin’s poster from the Paris International Exposition of 1937 was informed by his mastery of Art Deco style in creating over 1,900 posters, book, theatre and costume designs in his distinguished career. 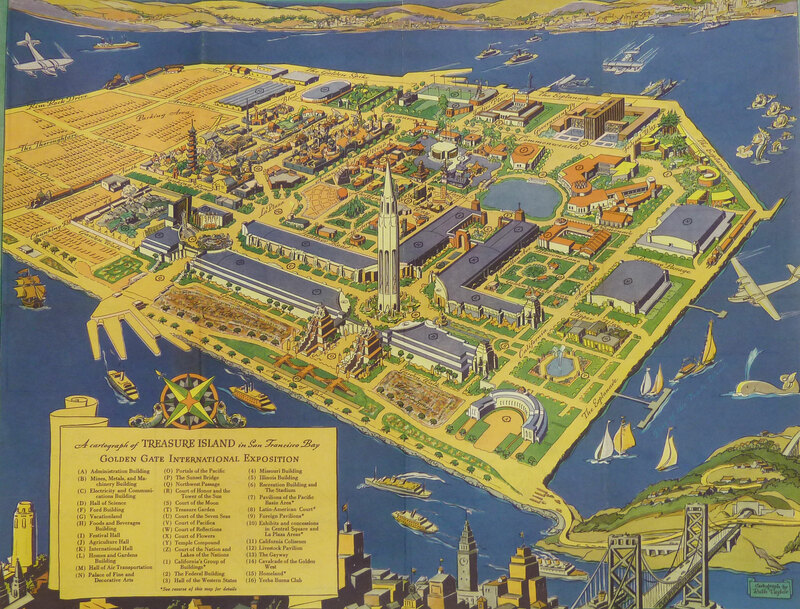 And Ruth Taylor, the only known woman artist exhibited here, is represented by the magnificently detailed Map of Treasure Island, Golden Gate International Exposition, San Francisco, which ran concurrently with the 1939 New York fair. 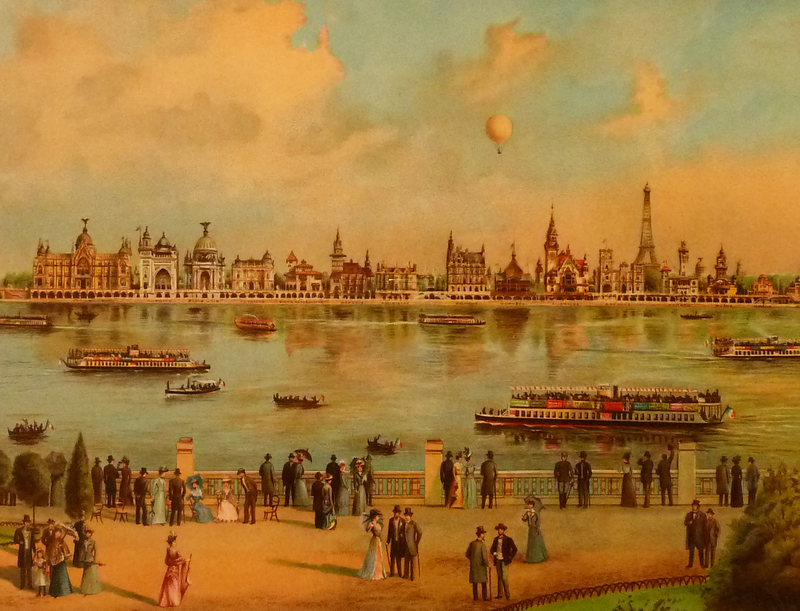 Memorable images by Leo Marfurt, Dan Smith, William Wright, Fracesc d’Assis Gali Fabra, James Thiriar, Yasaku Kamekura, Ted Rand and Stefan Szczesny, among others, represent fairs and expositions in Anvers, Philadelphia, Montreal, Barcelona, Bruxelles, Osaka, Seattle and Hannover, and ranging from 1901 to 2000.